1 5/8" x 4" horizontal badge ribbon, with an adhesive strip on the front pre-printed in bright metallic gold foil and in stock for immediate shipping. Our most popular badge ribbon titles printed with gold foil and in stock for immediate shipping. 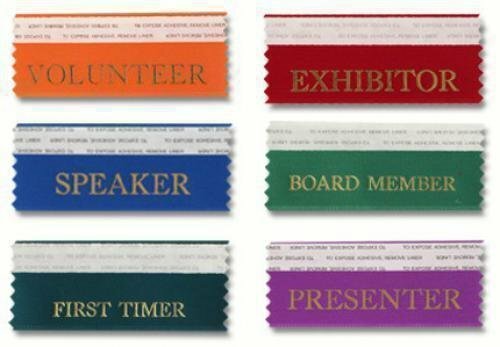 Traditional 2" x 8" Badge ribbon with vertical imprint. These ribbons are stocked without adhesive. 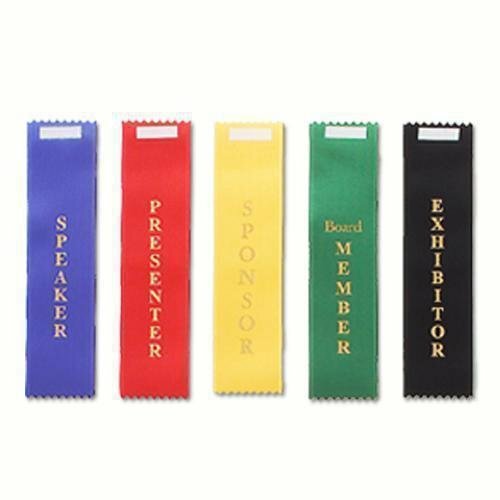 We can apply the adhesive strip on the front or back of your ribbon.